Firstly, put the gear selector into 'N'. 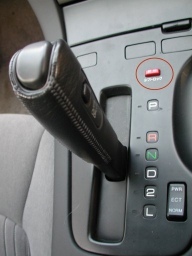 This will require you to press the small red button next to the gear selector so that you can move the gear out of park with the ignition off. Now you know what the red button's for! Don't forget to make sure the handbrake's on. 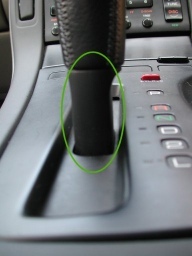 Then slide down the plastic sleeve at the bottom of the gear stick, and undo the two screws, it should then pull straight off. 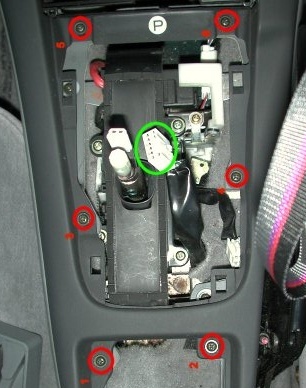 Then you need to remove the black plastic gear selector panel, to do this you need to unclip 4 clips, in each corner of this panel. This can be fiddly first time round, but once you've done it you'll be popping it in and out no worries. Retain the felt pads around the clips and be sure to replace them properly afterwards for a rattle-free future. Then unclip the block connectors for the lights and switches. You might find a Japanese coin down inside somewhere, both myself and Iain did!! Open the fliptop cupholder at the rear of the assembly and pull the whole thing upwards. It should come out with a bit of persuasion. You will now see six screws on the lower section which hold the entire surround in place. Undo these and you should now be able to lift the surround up and towards the front. There are more connectors to watch out for at top of the surround, next to the aircon/stereo unit. 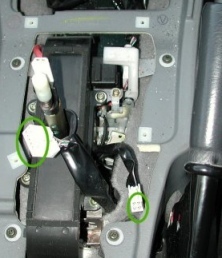 These will also have to be disconnected if you want to remove the surround entirely. 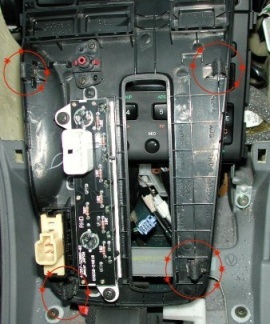 The aircon headunit/stereo all comes out in one cage by undoing 4 screws. 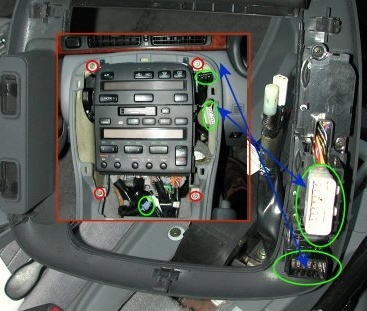 If you are going to atttempt to drive the car with the centre console out, leave the centre block of the aircon connected, otherwise this affects the ECU. 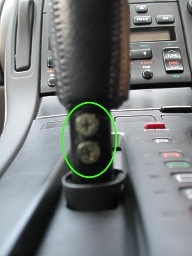 Also, if you leave the hazard warning light switch disconnected, the indicators will not operate. Needless to say, putting it all back together is the reversal of removal. Care should be taken to ensure that you don't drop any of the screws down inside the gearbox housing, or behind the air conditioning unit.